Startups and freelance work are slowly gaining ground, especially with the Internet making inroads into different walks of human life. Though self-employment presents multiple benefits such as increased autonomy and flexibility, there are negatives to this line of work too. The biggest drawback perhaps is taxes or most people’s inability to manage them. Invariably, self-employed individuals end up remitting two times the taxes salaried employees pay; these include Medicare and Social Security taxes. The other disadvantage is there isn’t any proper or organized employee benefit plan such as a retirement and health insurance plan, which is usually associated with a conventional job. Fortunately, there is light at the end of this tunnel, in the form of retirement plans. Let’s take a look at and do a comparison of retirement plans for self employed individuals. Solo 401(k) is a solid option for entrepreneurs and their better halves who can set aside a substantial amount of their income. As an employee, you could stash away a maximum of $16,500. As an employer, you could contribute an additional 25 percent of the compensation, which includes your employee contribution. In case you are 50 years or more, the ceiling for your contribution would be heightened. Basically, the plan is popular for it generous contribution limits. In case there is an annual or set-up fee, the contribution limits would be low. You could pay a minor set-up fee, in addition to a yearly fee. And these contribution sums are not mandatory, meaning you could go all out during flush years and skimp during leaner periods. In case you have an IRA that’s being funded from the 401(k) of your previous employer, then those retirement savings could be rolled into your fresh solo 401(k). Certain accounts provide a Roth option too. Also, it’s possible to draw a loan or borrow money against solo 401(k). This option comes in handy when you need some money quickly. Generally, the loan available is up to 50 percent of the account balance, and the maximum repayment period is 5 years. However, such borrowing is not advisable unless there’s an emergency scenario. But the fact that you have the option would provide you some psychological comfort. 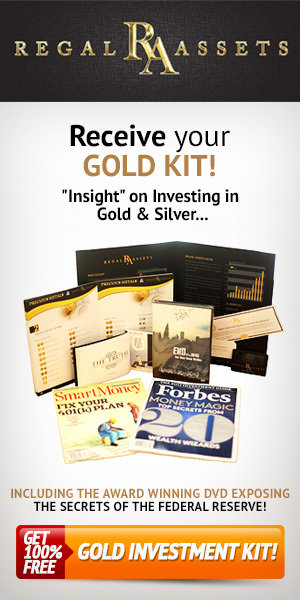 There are also other options that allow you to rollover your 401K into gold or silver. The downside to a solo 401(k) is that only the business owner and his/her spouse could participate in the plan. This, as a result, makes the plan less feasible if you are still at a day job. If you’re contributing to an employee 401(k), you probably might be saving significantly already. SEP-IRA is the next plan we shall talk about in this comparison of retirement plans for self employed individuals. A SEP-IRA is ideal if your business comprises just you and not too many people. SEP-IRA, or simplified employee expansion, takes a basic approach to set pretax savings aside. The upper limit for the contribution is 25 percent. However, a SEP-IRA is not a Roth IRA. The best part about SEP-IRA is that account-funding is not needed until return has been filed. This means if your net earnings are higher than expectations, you can contribute more and truncate your tax bill. The contribution could be reduced in case the year gone by was bad. Another benefit to this plan is that your SEP contributions would not interfere with your existing workplace plan if you are setting up a fresh secondary business while still being employed where you’re contributing toward a 401(k) plan. The downside to an SEP-IRA is its cost, especially if you have a team of full-time employees. Cost won’t be an issue if you have contract workers on-board as the money invested in an SEP would count as employer contribution. The percentage contributions should be the same for all workers on roll, or those people who are 21 years and older and have been your employees for at least the last three years. Generally, contributions made every year to the SEP-IRA of each employee can be deducted. If you’re self-employed, the contributions made every year could be deducted to your own plan. A simple IRA is specifically designed for self-employed people and small businesses. If there are not many (less than 10) employees working for you, who aren’t making anywhere close to six figures, and you would like to present them a retirement plan, a simple IRA is probably what you need. This retirement plan was basically devised for companies whose employee strength is not more than 100. With this plan, the contributions are tax-deductible. Moreover, the investments would grow tax-deferred until withdrawals are made in retirement. In case your entity is a budding firm, a simple IRA could be slightly burdensome. Generally, the contributions made must be the salary reduction contributions of each employee, regardless of what the employee’s contributions are. The best thing about this IRA is simple paperwork, which can be wrapped up in less than 15 minutes. Unfortunately, this plan doesn’t work for people who are moonlighters or doing two jobs at a time. Also, withdrawing funds from this IRA within a couple years of setup, the 25 percent penalty would be significantly more than the 10 percent fee you would get charged for having withdrawn early from an SEP-IRA. This IRA plan is open to all with earned income; but Roth IRAs come with earning limits. An IRA could be used in conjunction with other plans. However, the traditional IRA contributions sum you could subtract from your taxes could be reduced. In case you’re quitting your job to launch your own venture, your old 401(k) could also be rolled into an IRA. A Roth IRA is ideal if you prefer to be simple with things. Or perhaps you have just started your career and you do not have significant amount of money to set aside. An IRA turns out a great option in such cases. A traditional IRA is likely the simplest route for self-employed individuals to kick-start their retirement savings. You would only have to open an IRA online and report the contributions made each year on your return. There aren’t any special filing requisites, and most importantly a Roth IRA could be used whether you have employees or not. What Exactly Are Investment Banks?